The acquisitions demonstrate not only the range of work within the Slade, but also how the collection continues to grow, recording the history of teaching and practice at the School, both through a prize system, which was instigated when the Slade was first established, and through subsequent gifts which support use of the collection. Jesse Dale Cast studied at the Slade between 1922–1926. 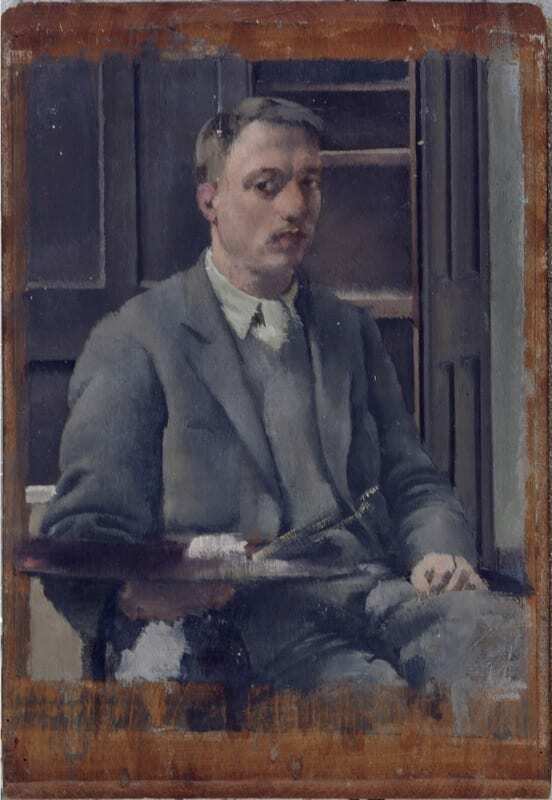 A key proponent of the Slade ethic, Cast studied under Slade alumnus Albert Rutherston at Camberwell School of Art before attending the Slade, where he won numerous prizes including the Summer Composition Prize (1923) and First Prize for Figure Painting (1925). He was highly regarded by tutor Henry Tonks and employed Tonks’ academic approach to drawing and painting, repeating his subjects in drawings and oil sketches before arriving at a satisfactory final work, often leaving studies unfinished. He used a grid system to transfer scale and red chalk to trace and transfer drawings to canvas. As a teacher later in his career, at Harrow School of Art, the Central School of Art and Design and Hornsey College of Art, Cast was a strong advocate of the Slade style of teaching. As such, his work is important to researchers and to current students and teachers at the Slade in terms of the history of teaching and methods at the School. The collection is regularly consulted by all three. The six new works recently acquired by UCL Art Museum enhance the existing holdings. 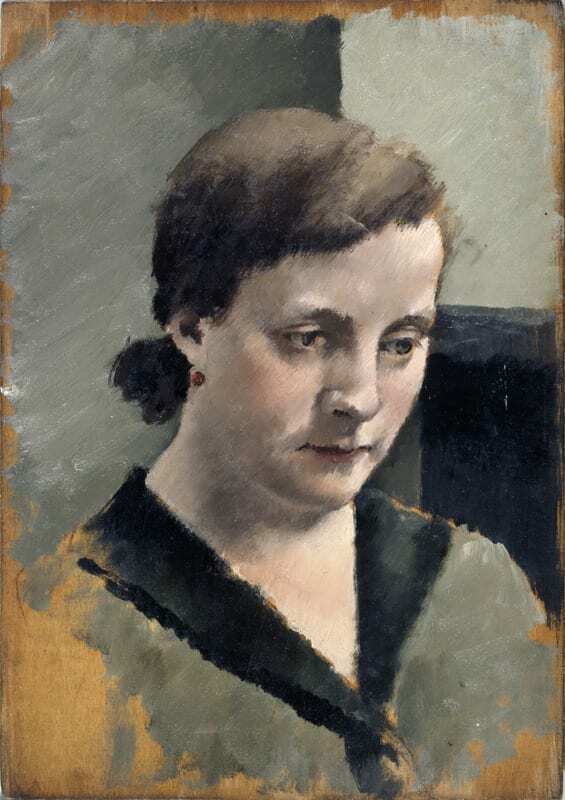 An oil sketch, Portrait of Margie in a Green Dress, c.1928, can, for the first time, be viewed alongside two studies for the portrait (UCL 5659 Female Portrait, c. 1926-30; UCL 5658 Study of Hands c. 1926-30,) and another portrait of the same subject (UCL 5558 Margie in a Light Green/Grey Dress, 1928). Illustrating a key stage in the artist’s process, this work brings these studies together as a group, clearly demonstrating Cast’s process of working towards the final version of a painting. 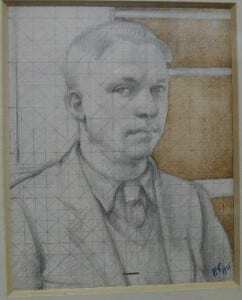 Similarly, Self-Portrait, 1935, a pencil and wash drawing, is a study for a self-portrait already held in the UCL Art Museum collection (UCL 5656). 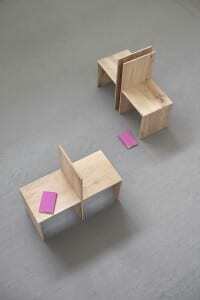 Squared up, it clearly demonstrates a stage in the artist’s process and his method of working. Cast rarely signed his drawings, however this work is signed JDC/1935. Works by Cast are held in numerous public collections across the UK, including the Tate, The Fitzwilliam and the Museum of London. Within the context of UCL Art Museum’s Spotlight on Slade curatorial research project, these works strengthen the Museum’s ability to demonstrate the Slade style of teaching, the artistic practice it inspired and its impact on other art schools. The William Coldstream Memorial Prize 2015 was awarded to Anja Olofgörs, MA student in Fine Art Media. The piece, Social Constructs, investigates through performance, text and installation, the impact of gender and space on our bodies, exploring how our physical behaviours and activities are controlled and influenced by spatial experiences. Olofgörs references feminism, Queer theory, Bauhaus and Swedish ideological history. The gallery becomes a performative area: Chairs, Bauhaus and Swedish in aesthetic, at once function as a physical space to present and hear readings of the text and, in their differing sizes, as a symbol of human proportions; a stand-in for the anticipated body. 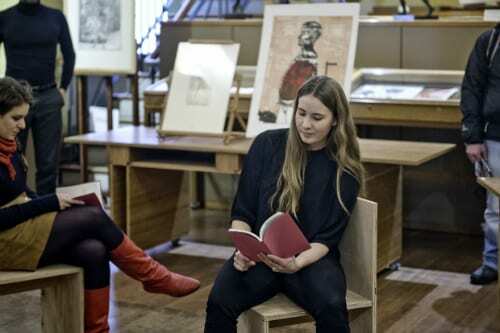 In November 2015, Olofgörs curated a pop up exhibition in UCL Art Museum, Kristina, drawing on works in the collection to create a performance piece and accompanying text. Inspired by a 17th Century engraving by Wenceslaus Hollar, Queen Christina of Sweden, 1650, (UCL 1231), Olofgörs investigates notions of gender, beauty and representation through this central print and through several works which she references in the text and which were displayed during the performance. In addition to two works by John Flaxman, Olofgörs referenced several works by former Slade tutors and students – including Henry Tonks. A wonderful example of former Slade work inspiring and influencing contemporary practice. The Slade student prize system was set up in 1872 by Edward Poynter, first Slade Professor (1871- 1895). Prize-winning works were retained by the School from 1897. Initially awarded for Life Painting and Drawing, Antique Painting and Drawing and Composition, the prize system changed and developed over the years, reflecting the interests and preoccupations of both the tutors and the students. Today, there is one main prize, the William Coldstream Memorial Prize, awarded annually. For more information about the research project please visit Spotlight on the Slade. For other blog posts relating to this subject please go to project posts on the UCL Museums and Collections blog. I am an admirer of Jesse Dale Cast’s work and especially some of the studies.